These little muffin are made without refined sugar or any grain. Since there is very little honey in the recipe, the key is to use very ripe bananas – the blacker the better. They are a great breakfast with your morning cup of coffee, add a scrambled egg and a dab of Grand Marnier honey butter – just perfect. Cool on a wire rack, if you are using silicone cups remove them after they are cool. 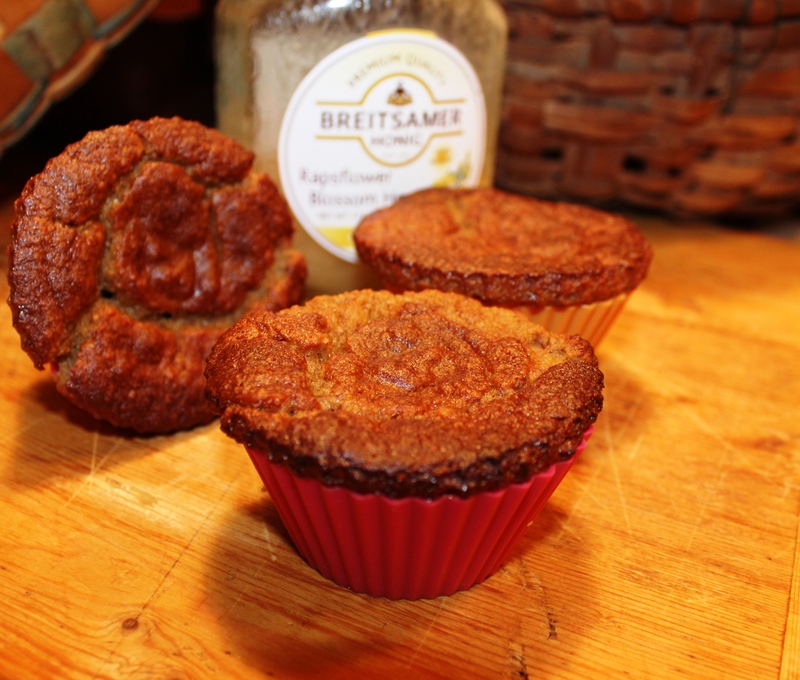 This entry was posted in Recipes and tagged almond, Almond flour, Bananas, Breakfast, Gluten-Free, grain free, Grand Marnier honey butter, Honey, Muffins. Bookmark the permalink. I’ll be sharing this recipe with my grown daughter who eats gluten-free. She keeps her eye out for this type of baked goods. Thanks! Wonderful! I love using almond flour, it has superior nutrition compared to other gluten free flours and it is delicious.